Congratulations to our Client Lunette Cup for their feature on Hello Giggles. 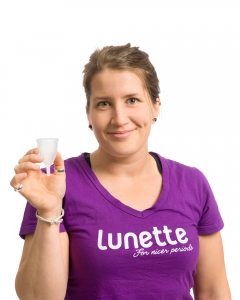 The Lunette menstrual cup is the future of feminine protection. It’s your user-friendly, safe, reusable, and eco-logical alternative to pads and tampons. Plus, using Lunette helps you rack up good karma points by protecting the environment and your purse strings offering peace of mind and a stress free cycle. Check them out at lunette.com!